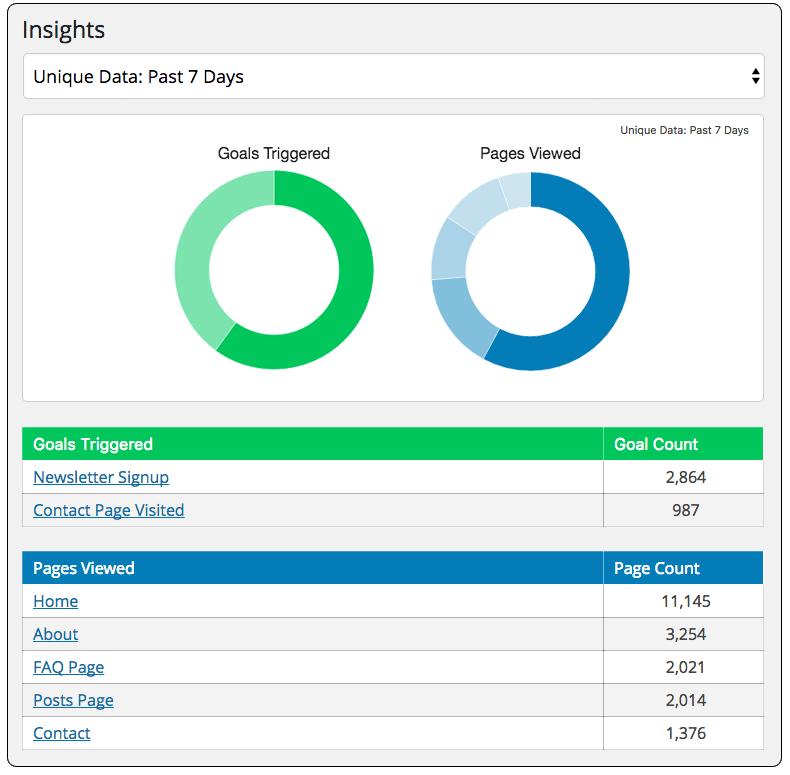 Logic Hop Insights provide a near real-time report of pages viewed and goals triggered. Insights can be viewed for the past 30 days, 7 days, 1 day and for the current day. Note: We recommend augmenting Logic Hop Insights by using Google Analytics and Google Analytics’ Event Tracking with Logic Hop Goals. This combined approach will provide a full view of all site activity and user events. Learn more about using Google Analytics with Logic Hop Goals.